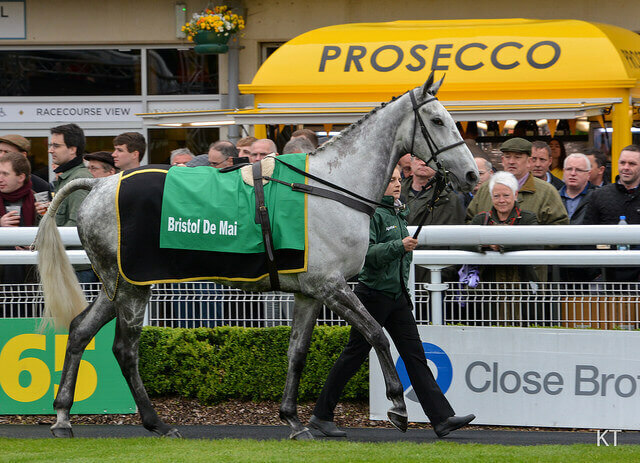 The Cheltenham Gold Cup third – Bristol De Mai, who was set to shoulder top-weight of 11st 10lb in the 2019 Randox Health Grand National in April 2019, will now NOT run. However, the Nigel Twiston-Davies-trained grey will still be heading to Aintree – he’ll instead run in the Betway Bowl on Thursday 4th April. Connections feel that the fact he’s already beaten most of the other runners that are set to run in the Bowl and the prize money is excellent means this is the better option. As a result, the 2018 Grand National fourth – Anibale Fly, who has been confirmed a runner in the 2019 Grand National by his connections, will be the new top-weight in the race and carry 11st 10lbs in weight – up from 4lbs from his previous allocated weight of 11st 6lbs. He’ll carry the famous JP McManus green and gold silks and will be looking to become the owners second winner in the race after Don’t Push It won the 2010 renewal. This means all the other runners in the race will work off him so all the other entries will also go up 4lbs in the weights – meaning last year’s winner – Tiger Roll – will now have 11st-5lbs to carry – 6lbs more than 12 months ago. With Bristol De Mai now out, this will also help some of the horses further down the list as – don’t forget – only 40 runners can run. In terms of the betting for the 2019 Grand National, Bristol De Mai’s absence hasn’t changed a great deal. The 2018 winner – Tiger Roll – remains a short favourite at around 4/1 – and if he is to win will be one of the shortest price winning market leaders since an 11/4* shot won the 1919 running! The new top-weight – Anibale Fly – has come in a bit though and is now around 10/1 in the 2019 Grand National betting market, while Rathvinden (10/1*) and the Trevor Hemmings-owned pair of Lake View Lad (14/1*) and Vintage Clouds (14/1*) are others that punters have latched onto in recent days. Take a punt on the world’s most famous race and bet on the 2019 Grand National! For a few extra tips and best odds, have a look at our Grand National Ante-post betting tips.